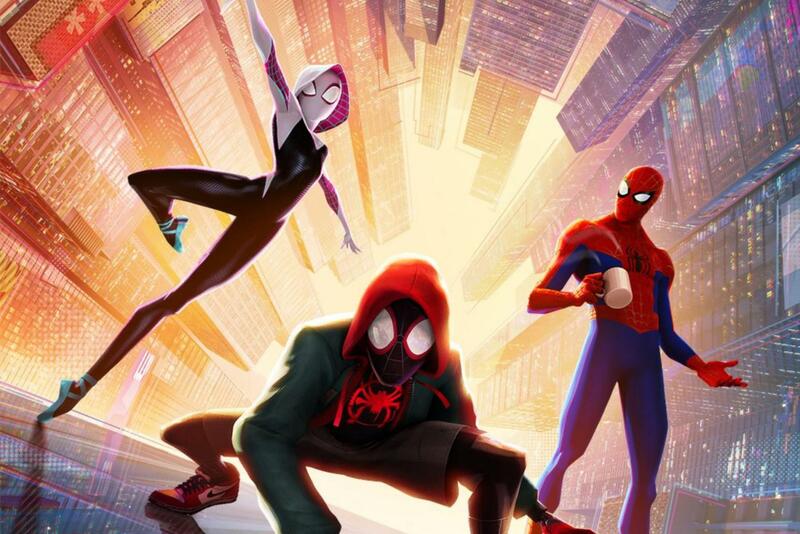 Spiderman: Into the Spider-Verse is the latest installment in Sony Spider-man films which features 14-year-old Miles Morales (Shameik Moore) struggling to balance the pressure from his school work, homelife, and his passions with his unexpected superpowers. This film borrows classical aspects of Spider-Man comic books and takes it to a new level from the electric colors to the shading techniques used (which took over a year to perfect a simple demonstration) which truly throws the audience into a surreal experience. Compared to other Spider-Man films produced solely by Sony, Into the Spider-Verse has the most relatable and diverse characters to date. The story effortlessly represents the life of a Brooklyn teen from an Afro-LatinX background and the objective nuances of Morales’ coming-of-age story. Along his extraordinary journey, Morales is met with confrontation, self-discovery, and alignment of his morals through interaction with interdimensional Spider-men, women, and a pig. This film could have easily gotten hung up in the amount of heros and villians introduced to the plot, yet it continued to surprise and intrigue from start to finish. The appeal of Spider-man lies in the character’s relatable upbringing and decision making that the audience can truly connect to. Like many past Spider-Man films, the familiar theme is central to the understanding of the film — anyone can be a heroic figure. Whether that means helping an elderly person load their groceries or giving someone directions, you should do the right thing even when life beats you down. Every aspect of the animation in this movie drills this ordinary hero theme into the audience as the familiar artwork causes a feeling of nostalgia and morality to wash over comic book fans. Techniques such as the Kirby Krackle, invented and named after the famous Marvel comic artist Jack Kirby, to signify a massive amount of energy, can be seen in the scenes with the particle accelerator that accidentally brings about the interdimensional Spider-figures into the Morales’ reality. Chromatic Aberration is another approach used in this film that connects the audience further to a feeling of empathy and nostalgia for Miles and the situation he is thrown into after being bitten by a radioactive spider. The blurring of chromatic aberration stimulates quick movement on the screen that has been featured in countless comic books to create a seamless blending of frames. No comic book would be complete without crosshatch shading, and in nearly every frame of Into the Spider-Verse, cross hatching can be seen creeping through movements and action packed scenes. Crosshatch shading was first employed during the WWII comic book era to save money by using less ink on popular comics during printing periods. The classic, gritty, and nostalgic art style is almost relatable for readers and viewers which connects the average person to the idea that anyone can do the right thing, and be a hero.